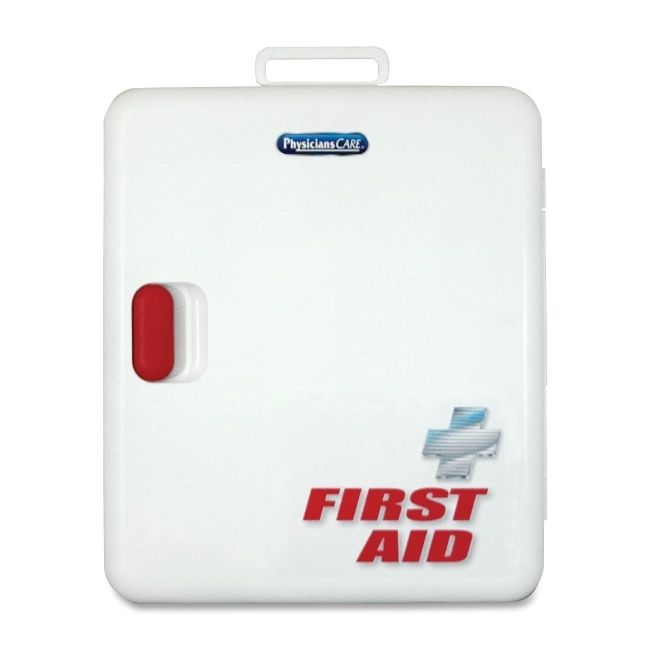 First aid kit is the starter kit for the Acme Xpress First Aid Refill System. This unique, color-coded system simplifies first aid and makes it easy to keep the kit organized and find what you need quickly. Ideal for perfect for large office settings, schools and other facilities. Included first aid treatment items come in easy-to-find Clean, Treat and Protect packages and lock into place into the first aid kit. The kit includes 370 pieces, including medications, alcohol pads, burn cream, antibiotic cream, plastic bandages, fabric bandages, wipes, and sting relief pads. Specially packaged Clean, Treat and Protect refills are available, and these refill boxes also lock into place. A reorder card is packed in every refill box with UPC for easy ordering. Refill system makes ANSI/OSHA compliance easy.